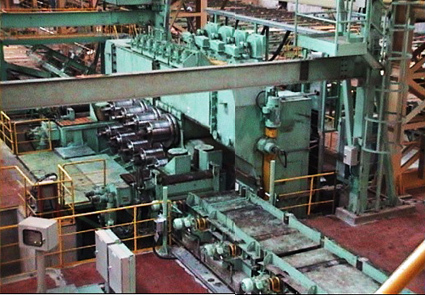 This is a facility for straightening any bending of rolled products. In the past, roller straighteners with single sided-support were the mainstream. 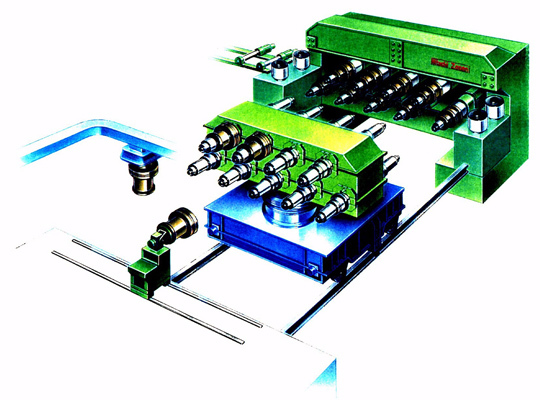 However, because of the growth in the size of the products, Steel Plantech provides roller straighteners with double-sided support in order to suppress the effect of axial tilting, which is a weakness of roller straighteners with single-sided support. 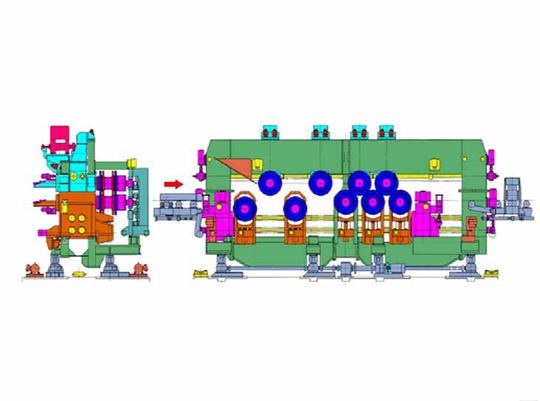 A variable pitch roller straightener has been adopted in order to reduce the amount of un-straightened sides during the lengthwise straightening of products.We also have a track record in the installation of roll width variable mechanisms, and in the case of shaped steel, we can handle up to H1100. Adoption of the en-bloc roll exchange method enables simplification of roll exchange operations. Additionally, the shortening of roll exchange time improves productivity. 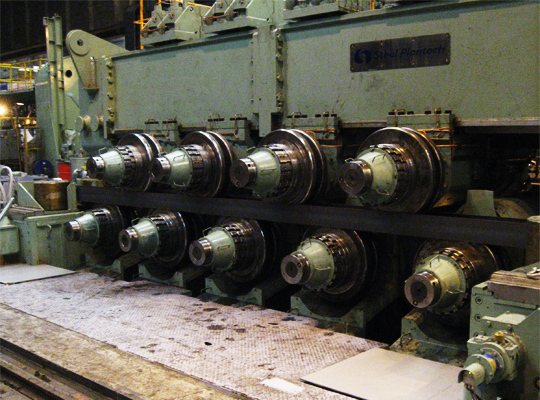 Furthermore, use of variable width rolls will contribute to the lowering of production costs. Combinations of the following can be selected according to needs.